In my last essay, I argued that modern would-be revolutionary movements need to take the question of institution-building seriously, and address concrete, material issues. What was not addressed, however, was how radical social programs and institutions (that is, proletarian dual power) are sustained. On one hand, this is simply a question of financing and funding; but for a revolutionary communist movement, questions of funding are inherently political. After all, a basic premise of Marxism is that social and political formations are emergent from economic formations, and as such questions around economics, financing, and funding become central to general organizing strategies. It is highly informative to examine how the Black Panther Party developed an economic base to sustain their programs—and how the nature of this base influenced their growth and decay. Such an analysis drives home the continued importance of understanding the relationship between the base and the superstructure of society, and is useful for setting the context for thinking about creating and controlling productive spaces today. While rank-and-file Panthers were drawn mostly from the residents of impoverished Black ghettos in urban areas, the funding to sustain the day-to-day operations typically came from external sources—and were thus subordinate to external class interests. It was thus inevitable that as these external class interests changed, in accordance with the recomposition and reorientation of capitalism that was happening on the global scale during this time period, so too would the Panthers undergo a recomposition and reorientation. 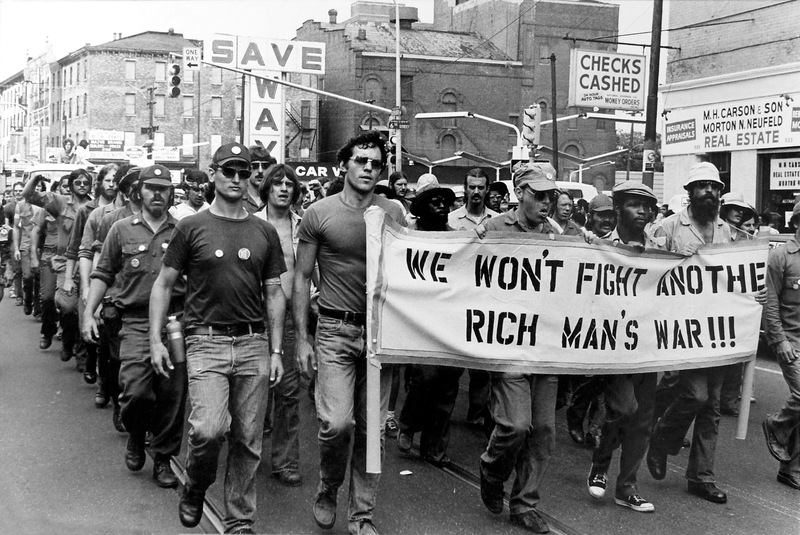 The Panthers seemed to have been particularly dependent on donations from wealthy White liberals, whose children faced the draft and the possibility of dying in Vietnam, and therefore found common cause with the Panthers’ anti-imperialist platform. A single fundraising event in New York in January 1970 with “New York’s high society” raised $10,000. 1970 was generally a high-point in terms of revenue flows to the Panthers: across the country, January 1970 saw $100,000 raised through small donations, and some individual donations of over $100,000 each. That year, the Panthers’ had a budget of $1.2M (Bloom and Martin 2013: 351, 355-56, 392). Unfortunately, there does not seem to have been much work done yet on disaggregating these donations to properly reveal, in quantitative terms, who the Panthers were getting money from; but the data that is available should be enough to point toward the fact that wealthy individuals (or at least, individuals far wealthier than the Panthers’ social base) were key. However, the convergent interests that defined the relationship between the Black Panthers and segments of the bourgeoisie would not last. The Nixon Administration, well-aware of the fact that the Vietnam War was fueling massive amounts of unrest and revolutionary sentiment, strategically re-oriented the war efforts to appease disgruntled liberals. In 1969, when Nixon took office, there were over 540,000 American military personnel in Vietnam; 12,214 American fatalities; and 225,000 young people drafted into the military. In 1971, there were less than 160,000 military personnel in Vietnam; 1,381 American fatalities; and fewer than 95,000 draftees. The de-escalation of the ground war in Vietnam lead to a corresponding decrease in the will of liberals to support revolutionary anti-imperialist movements like the Black Panthers (Bloom and Martin 2013: 347-48). The two other major sources of material resources—petty-bourgeoisie Blacks and anti-imperialist governments abroad—also started to distance themselves from revolutionary struggle, as the political system opened up to Black politicians and the United States government increasingly mended relationships with countries like China and Algeria. The contradictions between the Black Panther Party’s revolutionary communist ideology and the liberal ideology of their funders pulled the organization apart. 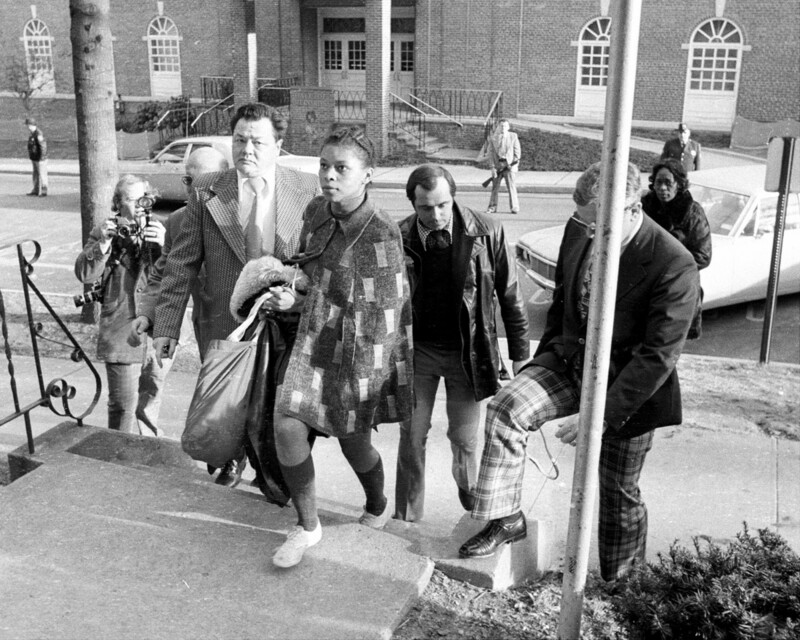 By the middle of 1971, the Panthers’ had split, into a social-democratic faction and an insurrectionist faction. The social-democratic faction, chasing the material support of the middle and upper classes, ceased talk of revolutionary struggle and focused entirely on community service programs (which increased looked more like simple charity drives than “Serve the People” programs) and legal political participation—eventually getting subsumed entirely into institutions of state and capital. The insurrectionist faction, determined to continue armed struggle but lacking any significant material base from which to sustain and expand their efforts, went underground and became increasingly separated from the masses they claimed to fight for. By 1975, the new social-democratic Black Panther Party was firmly allied with businessmen and politicians and functioned as partly as a non-profit and partly as a political machine for the Democratic Party; and the insurrectionist Panthers, who had joined up with the underground insurgent networks of the Black Liberation Army, and had either been killed or imprisoned, unable to withstand the State’s repressive features and lacking any real connections with the community or access to a sustainable material base (Bloom and Martin 2013: 383-89). All of this reinforces the critical need to have a proper materialist understanding of revolutionary struggle. The material base on which revolutionaries reproduce themselves and their politics and their social networks is hugely influential on the sustainability, resilience, and direction of their programs and their politics (their superstructure). The Black Panther Party, while physically and politically rooted in urban Black communities, became materially dependent on liberal and petty-bourgeoisie and bourgeoisie populations; it was only a matter of time before the inherent contradictions between a revolutionary communist ideology and a liberal-controlled economic foundation lead to the Party’s bifurcation, with one faction chasing liberal money and correspondingly adopting an increasingly liberal ideology, and another remaining an advocate of armed struggle, but unable to ground itself with the immediate concrete needs of the masses or sustain itself economically. We have a clothing factory we are just erecting on Third Street, where we will soon give away about three hundred to four hundred new articles of clothing each month…What we will do is start to make golfing bags under contract of a company, and with the surplus we will buy material to make free clothes. Our members will do this. We will have no overhead because of our collective (we’ll exploit” our collective by making them work free). We have a shoe factory that we’re opening up on fourteenth and Jefferson. The machines and everything else were donated. We’ll use it to get inmates out of prison because most of us learned how to make shoes in prison. So it will serve two purposes: we can make positions in the shoe factory available and thereby get somebody out on parole; and since the parolees must agree to give a certain amount of shoes away each week, we will have a “right to wear shoes” program. The establishment of these sorts of productive cooperative ventures starts to address the basic contradiction between having a revolutionary communist program and being funded by wealthy white liberals. By moving toward actually controlling productive assets—instead of using donations to purchase the products of such assets—the Panthers were building the potential to move toward economic autonomy, and mitigate the need to appeal to the fickle tendencies of moderate and liberal allies. Of course, serious problems still abound with this sort of framework, which I discussed in this essay two years ago. The primary issue is that simply creating non-profit-style organizations to give away free things hardly constitutes a revolutionary intervention in the relations of production and economic power (hence, why these cooperatives was eventually watered-down and subsumed into legal avenues by the mid-1970s). Creating community enterprises still operates according to capitalist logic—and if replicated today, would almost certainly be dependent on global imperialist supply chains like those that extract metals from the Congo and exploit workers in China and plunder. However, this doesn’t mean that interacting with capital must be avoided at all costs—but rather, that a strategy around creating a cooperative-based economic foundation must take seriously the potential of being subsumed into capitalism, and the need to view cooperatives as a means to an end, and not an end in themselves. This line of thought also brings up an interesting historical what-if question. 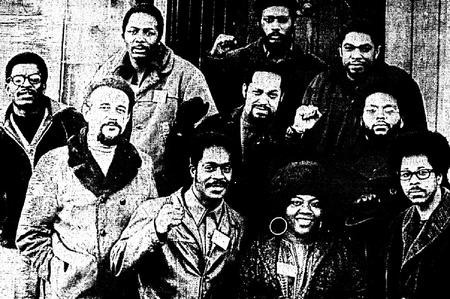 How potent might the Panthers’ strategy around cooperatives have been if they had teamed up with Black communist labor groups like the League of Revolutionary Black Workers, who themselves were at their strongest in the early ‘70s? Unfortunately, factionalism and sectarianism was also at its height during this time, and some of the tentative alliances formed between the BPP and the LRBW in Detroit did not last. But it is still invigorating to think of how powerful and resilient such a fusion might have been: between the radical neighborhood politics of the Panthers, and the militant factory organizing of the League, a sustainable revolutionary rupture that seized control of space and was economically independent could have been reality. The fact that such an integration didn’t happen should be a lesson for revolutionaries today, in terms of making clear the need to actively integrate and communicate between the various fronts, spaces, and movements. What we have learned about the Panthers and the way their material foundations affected their politics and organization should inform the way we go about engaging in revolutionary struggle today. From my own personal observations, the material base of radicalism in the San Francisco Bay Area reflects the material base of the Panthers, in the way that money flows into radical spaces and events primarily through individual donations or non-profit funding. In general, it does not seem like radical and popular control over productive assets is present in any significant fashion—at least, not in a way that makes such assets functional within a larger revolutionary strategy. There are numerous areas that are starting to shift into that direction, however. One area of struggle that I am increasingly optimistic about is that of food production; urban farming and community gardens seemed to have been exploding across the Bay Area, particularly the East Bay, and it a growing network of farms, created and controlled by radical working-class peoples, could be the beginnings of a sustainable material base for the larger revolutionary movement in the region. 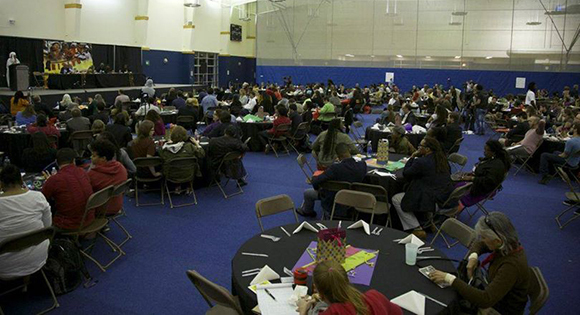 Indeed, thinking back to the Black Panthers’ famous Free Breakfast for Children Program, one could imagine how much more potent this program could have been if the Panthers were supporting it through their own farms, rather than relying on donations from local businesses. The issue of localized food production is also something that discussed at length in The Entropy of Capitalism (2011), where it is argued that these types of experiments in collective and sustainable farming constitute the development of a new (socialist) mode of production. Another area of interest is in the prospect of opening up “communist bars”, an idea that some local circles have taken an interest in lately. Much of the interest seems to be around how a communist bar could function as a social space, to create more points of entry for people outside or on the peripheries of radical activism; but equally important (in my mind) is the material nature of a bar, as a source of revenue and a way to keep radical money within radical circles. A contemporary case of this is the anarchist neighborhood of Exarchia, where radical bars explicitly function as a way to keep money within the neighborhood. Many people are going to drink regardless—so might as well buy booze from fellow radicals and help sustain a vibrant radical community, rather than send your money in the proper consumer capitalist market. And as Al-Jazeera describes, other anarchist-controlled spaces, like cafes and bookstores, are prevalent, and presumably also help maintain some sort of economic foundation for the area. Strategies like creating urban gardens and bars are, of course, just the tip of the iceberg, and constitute a certain way of thinking about economic base-building that is centered around creating community-based systems, from the bottom-up. The other key way of thinking about economic base-building is around seizing existing spaces—particularly, productive assets—and integrating them into a larger radical social economy. This returns to the historical what-if around the potential for coordination between the Panthers and the League; in the modern context, perhaps the historic potential is reflected in the potential for community gardens to link up with fast food workers, and seize control of fast food outlets and convert them into communist cafes that distribute healthy, locally-grown food. Down with McDonald’s, up with McLenin’s, perhaps? In general, there are a lot of questions around developing a material base for revolutionary struggle, which we can only really understand through direct experimentation and through actual engagement with the concrete, local realities. What I think is important to emphasize is that no strategy or tactic should be immediately discounted, or be seen as a best practice. For example, creating a non-profit structure has obvious limits—but it is still probably worth exploring ways to navigate and push against those limits, and whether there are good ways to “launder” non-profit money into autonomous radical activities. Another example is the common idea of creating workers’ cooperatives. Such groups operate democratically, but are still subordinate to the larger capitalist marketplace; but they can still serve an important role in building toward an autonomous revolutionary movement. Jackson, Mississippi seems to be a key area that is currently experimenting with the limits of both cooperative economies and local political offices, as seen in this discussion between Bhaskar Sunkara of Jacobin Magazine and Chokwe Lumumba, Mayor of Jackson. It is, of course, dangerous to create too many points of contact and points of dependencies with capitalist institutions (this was a major point of this essay, after all); but on a certain level, it is impossible to not have any interaction with capitalism. Thus, the project of building an expanding a material base for revolutionary struggle must navigate a fine, treacherous line between lapsing into banal prefigurative politics, and being subsumed into bourgeoisie democracy and capitalism. As the experience of the Black Panthers shows, the way an organization is funded is hugely influential on the way that organization’s politics and programs evolve and change. This should not be a surprise to Marxists, and underpins the economic dimensions of the idea that the proletariat must organize themselves, and organize themselves independently of other classes. Thus, a key task for radicals today is to help build and expand productive spaces that can help sustain proletarian institutions and concrete programs. This is a dynamic and continuous process, and intersects with the development of a new, post-capitalist mode of production. And above all, it is a necessary task; we cannot continue our form of “business as usual” in our intermittent rituals of rallies, protests, and theater, which only operate at the level of superstructure. We need to stay true to what being “radical” means, take historical materialism seriously, and put more energy into navigating at the roots of capitalism and bourgeoisie power: the material base, control over the economy, control over production and distribution. This entry was posted in History, Political Economy, Revolutionary Politics and tagged anarchism, black panthers, capitalism, communism, cooperatives, economics, history, organizing, political economy, revolution, socialism, strategy. Bookmark the permalink.